The Gear S2 has proven to be a turnaround for Samsung wearables, with the circular Super AMOLED display and the strap design making it Samsung's most popular wearable yet (the Gear S2 also received a design award this year). Though the Gear S3 Frontier and Classic are taking the spotlight now, Samsung said it would continue to support the Gear S2 for at least another year. 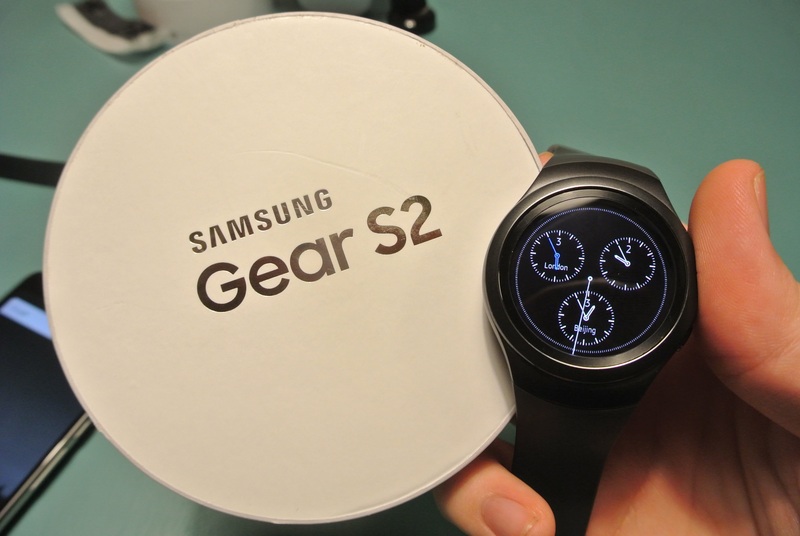 This has encouraged customers to continue buying the Gear S2, as its price has fallen to an acceptable level for most smartphone customers curious to see what all the smartwatch hype is about. The Gear S2 has been on sale as low as $141, and Verizon has even discounted the 3G model down to $99.99 at one point, but some customers want Bluetooth-only (no 3G) and don't care to add a $5 data charge to their bill each month. 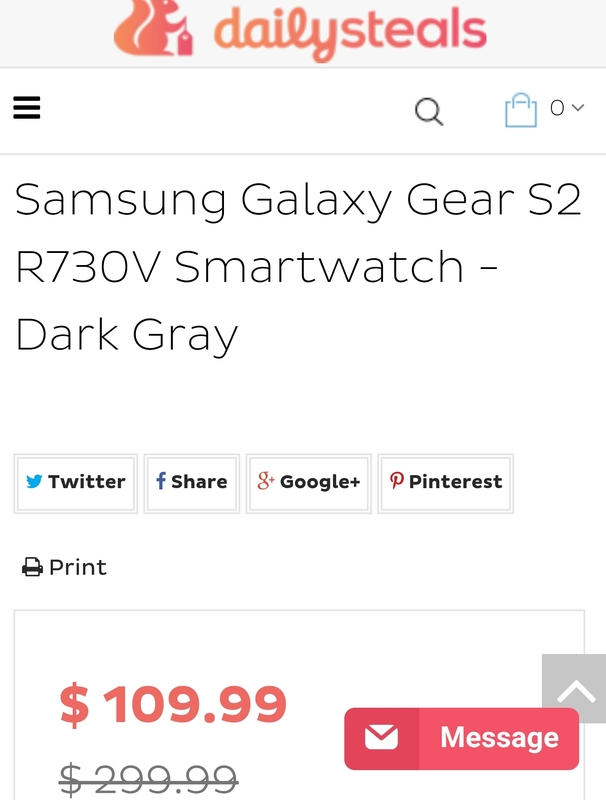 For those customers, DailySteals now has Samsung's 2015 smartwatch on sale for $109.99. Keep in mind that this smartwatch has a "V" in its model number, indicating that it's for the Verizon network (so this could be a 3G model) at the same time, however, you can still use this as a basic Bluetooth-connected smartwatch. The price alone makes the Gear S2 worth the purchase, but you won't get to pick up the Classic model at this price. The Gear S2, for those who need a small refresher, features a 1.2-inch circular Super AMOLED display with a resolution of 360 x 360 pixels, IP68 water and dust resistance, 512MB of RAM, 4GB of internal storage, and with the usual Bluetooth, NFC, WiFi, running Samsung's homegrown Tizen OS. Additionally, Samsung has now unleashed the iOS Beta program for the Gear S2 -- meaning that you can use the Gear S2 with an iPhone. Now, you don't have to give up the phone you love to get the watch you love. The Gear S2 here is certified refurbished, meaning that it isn't a new model but is certified to work properly right out the box. If you're comfortable with the condition, head on over to the DailySteals Gear S2 link and pick up what has become one of the most popular smartwatches worldwide. Come back here and let us know you made the purchase.